The fatal flaw in so many modern plows is the winch-powered hydraulic system. After all, it’s a complicated system with a great handful of common failure points – and if it fails, your plow fails and its back to shoveling for you. 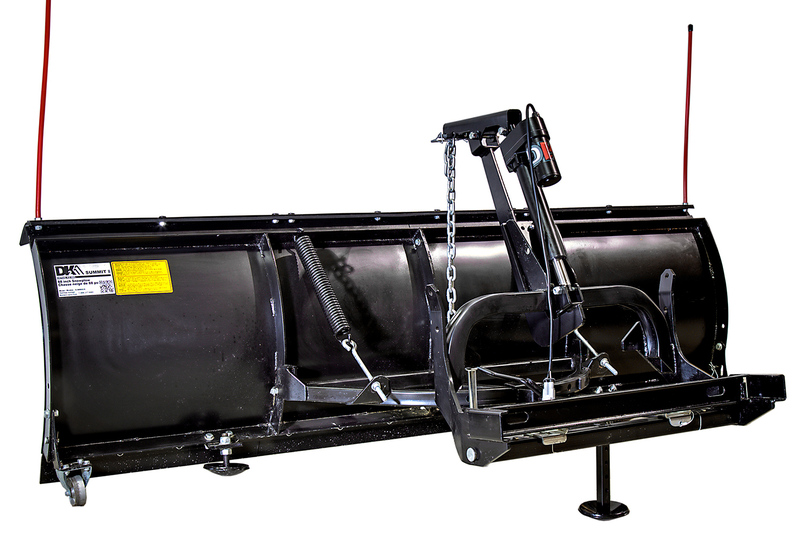 That’s what makes the design of the DK2 Elite Snow Plow so ingenious – it cuts to and strengthens the most vulnerable part of a personal snow plow with an actuator-controlled lift system. The DK2 Elite Snow Low comes in your choice of three models based on the length of the blade. 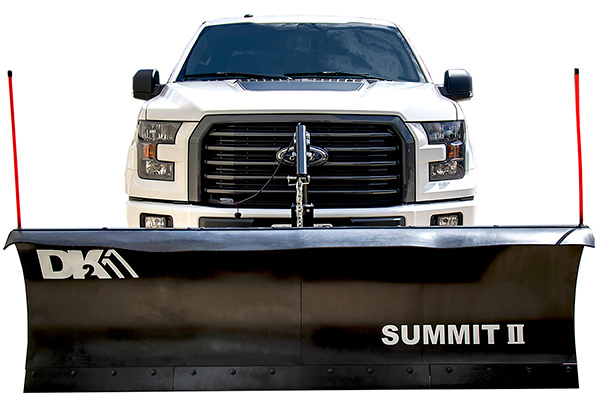 The 82"model is known as the Rampage II Elite, the 84" model goes by the name Storm II Elite, and the extra-long 88" blade is called the Summit II Elite. 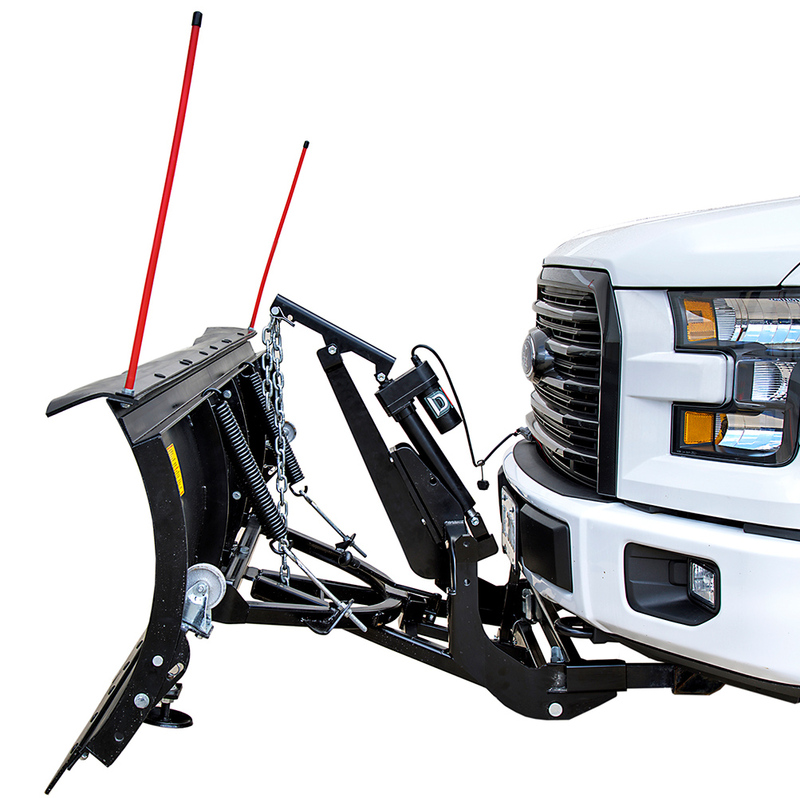 Each size can be rotated into three different plowing directions – right, left, and head-on. 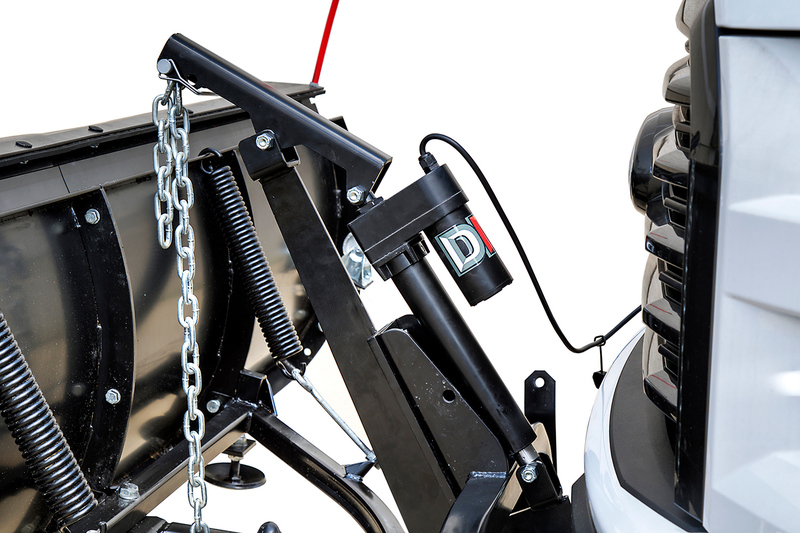 The actuator and internal clutch are designed to stay tough in any weather – eliminating any chance of straps braking, the blade dropping too fast, or winch failure in general. A reinforced steel blade is reversible to get you twice the use with half the maintenance. A wireless remote control will make it a snap to operate this plow from the comfort of your cab. 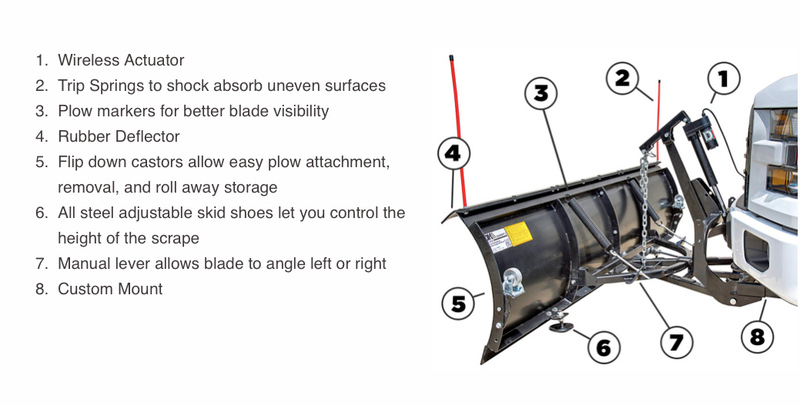 This complete kit includes a snow deflector, vehicle-specific mounting hardware, skid shoes, and blade markers. Backed by a 1-Year Warranty. What’s the difference between the Rampage II Elite, Storm II Elite, and Summit II Elite? The difference is only in the length of the blade. 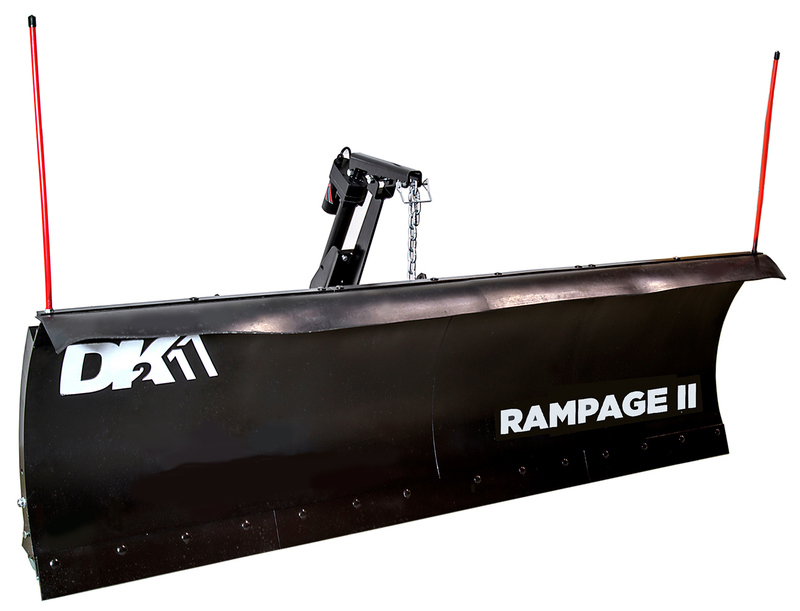 The Rampage II Elite is 82" long and perfect for home use. It weights 206 lbs. The Storm II Elite is 84" long and great for clearing a small parking lot or cul de sac. It weighs 237 lbs. The Summit II Elite is 88" long and ideal for larger parking lots and alleys. It weighs 245 lbs.